Home ALL	Victoria Police top cop speaks to AMA about African communities. The newly appointed Victoria’s top cop, Chief Commissioner Graham Ashton, recently granted an interview to AMA at his Flinders Street Office in Melbourne CBD. 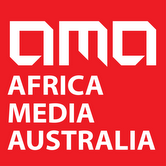 Mr Ashton, who has been on the job for only six months responded to over a dozen questions from AMA’s Clyde Sharady and discussed several issues affecting Victoria Police’s work in the community broadly, as well as its work and engagement with Victoria’s African community in particular. Chief Commission Ashton says that he has been and remains busy to promote social cohesion and address crime in the community. He notes that “in Victoria, Australia and the rest of the Western world, social cohesion is being tested in a way that it has never been tested before and police forces everywhere are working harder to address this. Victoria Police remains committed to social cohesion and social harmony in our society, to make sure that Victoria is a inclusive society, one that is welcoming and celebrating the strength of diversity in the community”. Mr Ashton also believes that his force “has demonstrated strong leadership in this social cohesion over recent years and will continue to develop that and ensure Victoria is a welcoming state for all, regardless of cultural background, religious beliefs or ethnicity”. Mr Ashton says that since he has been in office, he has met with some African community representatives, but he acknowledges that he still has to meet more community members. He stated that ” Victoria Police wants to ramp up and increase engagement with all communities, especially the youth and take steps to understand the environment within which young people are evolving and this will require getting more linkages, and explore different was to liaise, communicate and build strong relationships with the community”. Chief Commissioner Ashton says he is seeking to use the current mechanisms, such as the reference groups already established by Victoria Police to continue to communicate with community leaders. He also indicated his desire to tap into existing networks at the same time as he takes step to broaden Victoria Police’s methods of engagement with the communities. In response to a question regarding some of the criticisms from several African leaders who complaint that Victoria Police only engages with a small group of Africans people in the community who are not always connected with the base, Mr Ashton acknowledged the need to improve things in this area and broaden Victoria Police’s engagement. He also invited community leaders who want to engage with the force on any community matters to contact his office or the office of Assistant Commissioner Andrew Crisp or the priority communities division within Victoria Police. Mr Ashton also responded to a question about the reinstatement of a police member who was previously sacked by former Chief Commissioner Ken Lay in response to the racist stubby holders’ incident in Sunshine. He advised that “Victoria Police has lost its appeal for the reinstatement of this police officer and is unable to take any further action in this regard”. Mr Ashton was asked to respond to questions regarding a recent violent incident involving African youth at a night club in Carlton (Melbourne), which involved a massive response from Victoria Police and many community members complained that the force had used pepper spray indiscriminately targeting all Africans who were present at and around the scene of the incident, even though they were not involved in any violence for which police was called. In his response Graham Ashton said that “there was no evidence Victoria Police acted inappropriately and no complaint was received from any member of the public regarding this matter. However, Mr Ashton acknowledged that “policing is challenging and there are times when the Police may get things wrong when attending events or responding to call for help, but the goodwill is there and Victoria Police is willing to work with communities to improve things in different ways”. When pressed Clyde Sharady on this matter, Chief Commissioner also stated that “where members of the public witness in appropriate police behaviours, they have the option to lodge a complaint and there are many ways to do this and one can start by contacting the local police station”. Graham Ashton says that Victoria Police is very keen to get Africans to join the force and some progress is being made in this area, but there is still a lot more work to be one. He added that he was pleased that, at a recent information session organised by Victoria Police recruitment purposes, over 20 African members attended and this is an encouraging sign. 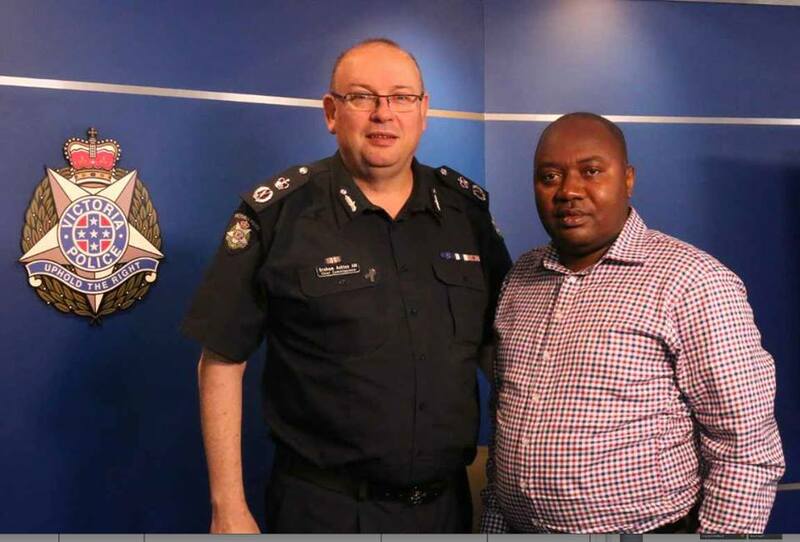 The Chief Commissioner expressed his hope that more African-Australians will consider a career with Vitoria Police and the force will continue to work with the community to make this happen. What do African-Australians think of Australia day? True blue Afro-Aussies?